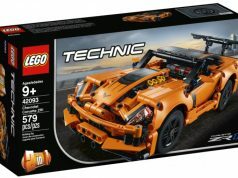 Promobricks has found official images of more 2019 LEGO Technic sets which come right after images of the smaller sets were found in Canada. The first set is the Porsche 911 RSR (42096) which consist of 1,580 pieces. -Porsche 911 RSR replica model with a wealth of authentic features, including a rear wing with ‘swan neck’ mounts, extended rear diffuser and aerodynamic side mirrors, plus black spoked rims and realistic head and tail lights. Also includes a detailed cockpit, working differential, independent suspension and a six-cylinder boxer engine with moving pistons positioned in front of the rear axle. -This collectible toy car also features an authentic white, red and black colour scheme and a sticker sheet for additional detailing. -Open the doors to access a cockpit packed with realistic details, including a radar screen, working steering, fire extinguisher system and a track map of the Laguna Seca circuit printed onto the driver’s door. -Check out the six-cylinder boxer engine with moving pistons. -This set includes 1,580 pieces. 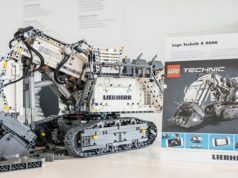 -This LEGO Technic model is designed to provide an immersive and rewarding building experience. -LEGO Technic sets feature realistic movement and mechanisms that introduce young LEGO builders to the universe of engineering in an approachable and realistic way. -Porsche 911 RSR measures over 5” (13cm) high, 19” (50cm) long and 7” (20cm) wide. The other set that was found is the Remote-Controlled Stunt Racer (42095) which has 324 pieces and uses the old Power Functions. This set is also a 2-in-1 set so it has another model that you can create with it. -Features a high-speed, fully motorized, remote-controlled vehicle with tracks and large rear sprockets for amazing acceleration. -Check out the fresh yellow and blue color scheme with cool stickers. -Traverse rough terrain and obstacles, drive forward, backward, left and right, perform 360° turns and pull awesome wheelies at high speed. -Includes the following LEGO Power Functions components: 2 large motors, receiver, battery box and a remote control. -This LEGO Technic set is designed to provide an immersive and rewarding building experience, and features realistic movement and mechanisms, helping young builders enhance their motor skills, hand-eye coordination and imagination. -This 2-in-1 motorized toy rebuilds into a Remote-Controlled Racer. -Remote-Controlled Stunt Racer measures over 6” (17cm) high, 8” (22cm) long and 5” (15cm) wide. -Remote-Controlled Racer measures over 4” (12cm) high, 7” (20cm) long and 7” (19cm) wide.